Government of India, Ministry of Defence, Department of Ex-Servicemen Welfare vide notification No. 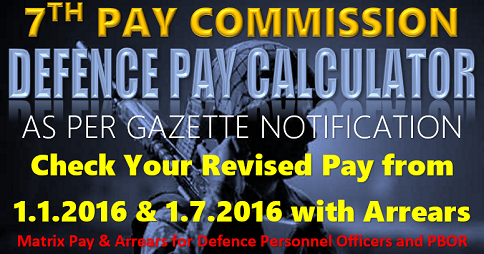 12(1)/2014/D(Pen/Pol)/Part-II dated 07.11.2015 issued orders for implementation of One Rank One Pension (OROP) scheme for Defence pensioners. 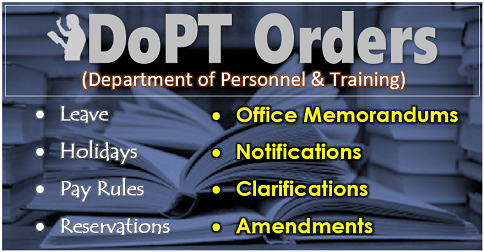 Detailed implementation orders of OROP with 101 tables containing revised pensions of different ranks and categories have also been issued by MoD, DESW vide order No. 12(1)/2014/D(Pen/Policy)-Part-II dated 03.02.2016 and uploaded on the website of DESW at www.desw.gov.in. 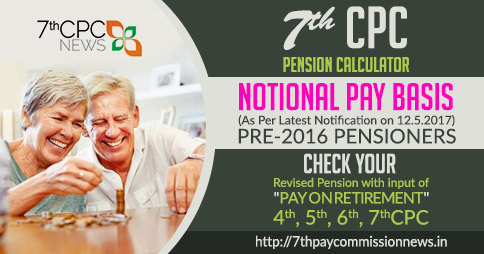 The Pension Disbursing Agencies (PDAs) have been authorized to carry out revision of pension of pre 1.7.2014 pensioners drawing pension as on 1.7.2014 in terms of MoD order dated 3.2.2016 with applicable rates of Dearness relief without calling for any applications from the pensioners and without any further authorization from the Pension Sanctioning Authorities concerned. 2. All affected Defence Forces pensioners of various categories, Pensioners’ Association and all concerned authorities are requested to take note of these orders for their information and further necessary action. 3. In order to take cognizance of anomalies that may arise in implementation of OROP orders, its implication on service matters including inter-services issues, Government has appointed a one-member Judicial committee headed by Justice L. Narasimha Reddy, retired Chief Justice of Patna High Court vide MoD notification No. 12(01)/2014-D (pen/Pol)-Part¬II dated 14th December, 2015. I was appointed as direct n/sub-supdt E/m grade 11 on 3rdfeb 1968 as M.E.S militerised cader for servIce in ME.S .promoted as SUB-suptt gd 1 in 1975. Again promoted as SUB/MAJOR- assistant Engineer E/M in Jan 1985 and posted as assistant garrison Engineer E/M at Garrison Engineer Barakpur at Barakpur west Bengal. again posted as staf offiser gdat 111 at Chief engineer central command lko again posted as Assistant Garrision engineer at G,E,AF Bamrauly, and got retired on31Jan 1989 on the plee that Sub/Maj has to retired at 32 year ofservice or 55yrs of age or4year of service which aver is earlier after21year of service and given reduce rate of pension with non of my fault. It will not be out of place to inform you that the following officer replaces each other as asst garrision 1st LT 2nd Caption 3red major if 2no of major or posted in same G.E.4th IDSE and assistant ENGR from cfvil side I was deprived of less pay than all of them and again less pension from all catgery. IN this contest why i should not be given full pension of SUB/MAJOR as Iwas retired after supernuation. 1. 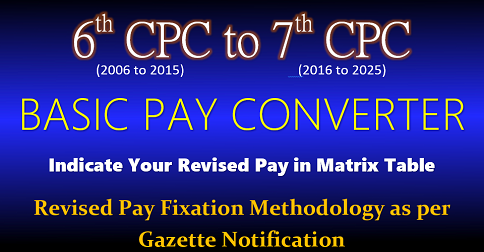 Sir, as per Govt of India Min of Defence Department of Ex Servicemen welfare letter No 12(1)/2014/D(Pen/Policy)-Part II dated 03 Feb 2016 the rates of revised pension are to be implemented with efffect from 01 Jul 2014 and pension of those who are in receipt of pension as on 01 Jul 2014 is to be revised in accordance of the pension tables annexed to the ibid letter. 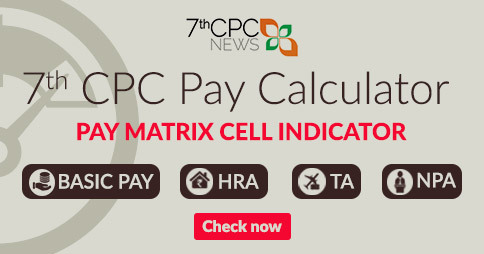 However, there is nothing mentioned about the revision of pension of those defence personal who retired after 01.07.2014. Please clarify this aspect. Further, a JCO retired on or before 01 Jul 2014 after rendering 30 years service in gp Y was granted basic pension of Rs 11970/- as per 6th CPC and his basic pension under OROP scheme is to be revised as Rs 12690/-. The same way a JCO of similar rank and service retired after 01 jul 2014 was also granted basic pension of Rs 11970/- but their pension has not been revised under OROP scheme. 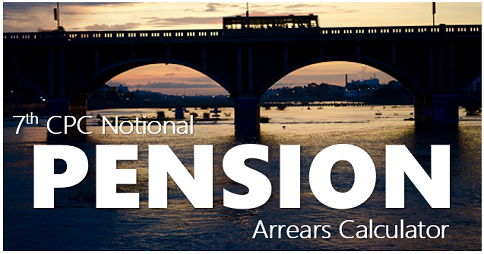 Thus not revising the pension of those who retired after 01 Jul 2014 is injustice with them. Please clarify this issue. Restrictions for Subedar major for four years in rank should be finished till age allowed. and pension of any rank of any group should not be less or equal than his B junior rank in OROP. It should be a little benefit for the rank of Hon Sub Maj holders, because it is the highest rank in the PBOR, but no economic or physical benefit for the holders. I suggest better to not give such ranks neither to enter in the discharge book or Identity Card as well as any benefit. It just to fool the JCO, who complete the full tenure of his service with good remarks. I am a retired JCO having 28 yers service.. The JCO(Naib Subedar) is the most neglected rank in the armed forces. Up to the rank of Havildar who served 08 yrs service in that rank get next rank Grade Pay and almost next rank basic pay pension. But it is not happen to JCO rank. 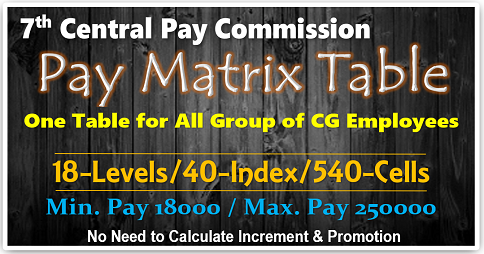 I have served 14 years as JCO but not getting the next rank Grade pay and basic pension.If due to shortage of vacancy upto Hav rank getting grade pay of next rank why not a JCO rank who could not select to subedar rank due to shortage of vacancy only. Please consider this aspect and give arrears from the date of retirement of a JCO having more than 08 years service in than rank. What type of OROP it is? Today one JCO is retired getting more amounts than his predecessor of same length of service. Even Havildars of higher groups are getting more (beyond imagination) than the JCOs of same length of service. How the Govt. can keep happy to this JCOs (Back bone of the Defence). I would like to attract your view on OROP scheme ,For the welfare of ESM govt accept 40 year long pending demands of OROP and implement it.As per OROP result increased pension of JCOs Rank as under. Kindly review ,reconsider on increased pension of JCOs as per brought result of OROP scheme. Because JCOs is very unhappy and disappointed . O R O P The JCOS are in Y Groups are neglected . The JCOs completed 21 years of service is given Rs 442 only benefit.This to be look on to?